The Booth project was a 10’ x26’ boathouse with a 5x30 walkway lakeward of the boathouse and a 4x20 walkway from shore. 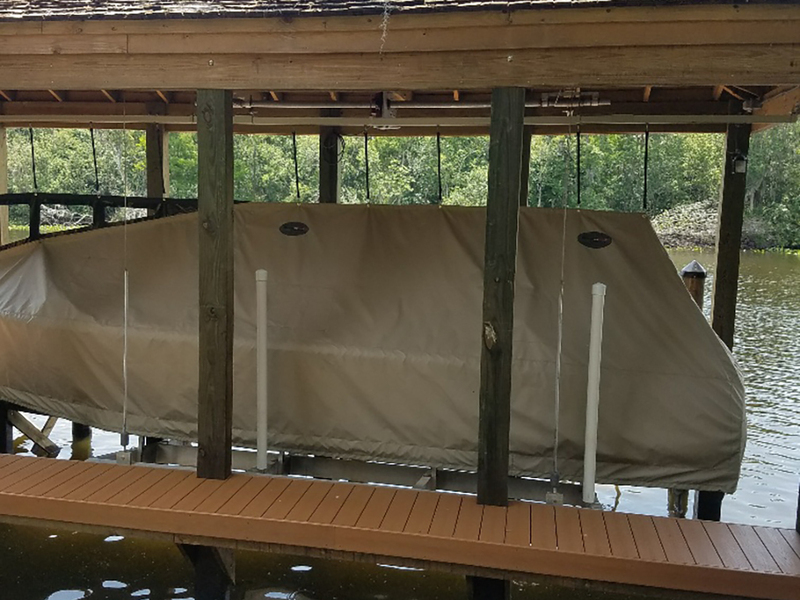 The round dock pile are 8”- 9” diameter x 30’ on the lakeward walkway and 6”x8”x30’ rectangular pile for the roof. The deck framing is 2”x8” stringers with 2”x10” bents. 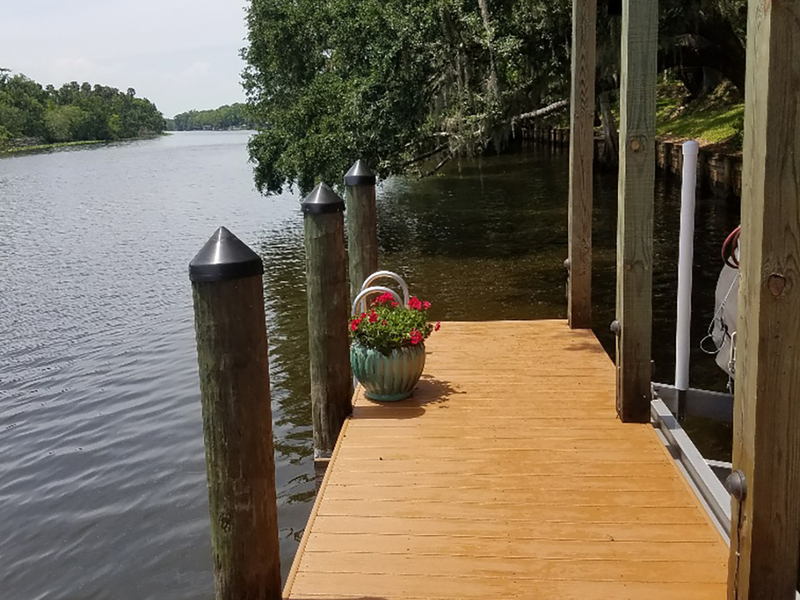 The decking is Wear deck [Reinforced polymeric lumber].The boathouse roof is double 2”x10” box beam headers , 2”x6” rafters 2’-0” o.c. ,and 2”x4” battens with cedar shakes. The water at the lakeward end of the job was 12’ deep at the lakeward end of the structure making it necessary to use a barge with a crane the team at Fender Marine Construction to install the piling. The State of Florida has very strict codes when it comes to building on the St. Johns River. 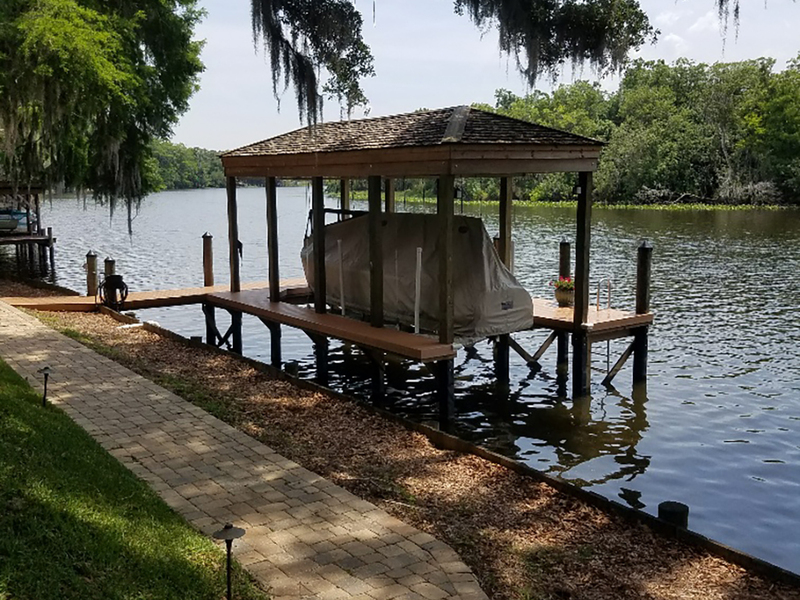 This particular dock and boathouse are located in an area of extra environmental protection known as the Wekiva River Aquatic Preserve which allows only the very smallest of dock and boathouses. The project took over a year for permitting but the customer is happy with the results. Check out the Wekiva River Aquatic Preserve here https://floridadep.gov/fco/aquatic-preserve/locations/wekiva-river-aquatic-preserve.